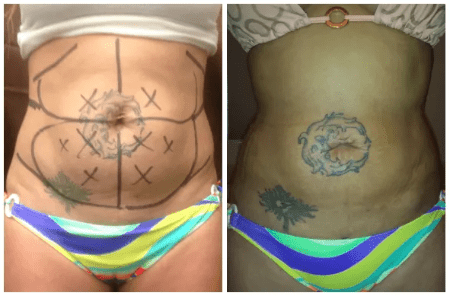 Dr. Adrienne Lara performs 12-17 HD Lipo cases a month with the Full Belly (Abs, Flanks, and Mons) being the number one requested package. 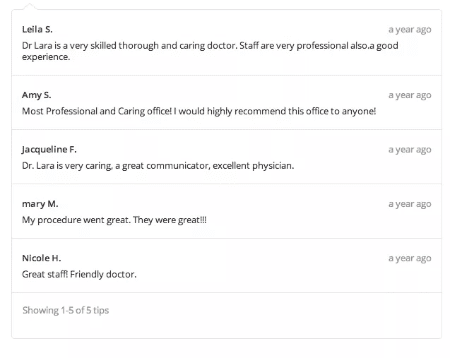 Here are before and after pictures and read verified reviews from 3rd party sites such as DoctorBase, Vitals, Facebook, Groupon and more. 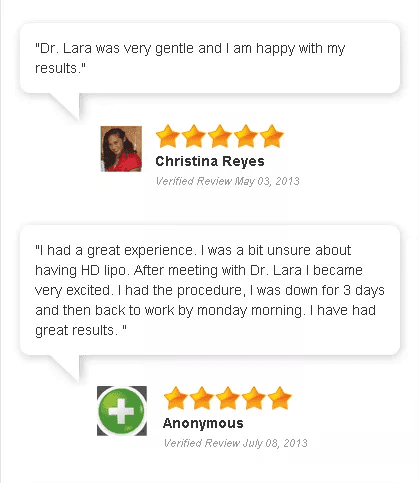 HD Lipo removes stubborn fat and also allows the doctor to sculpt and shape at the same time. Scroll to view Before and After Photos. 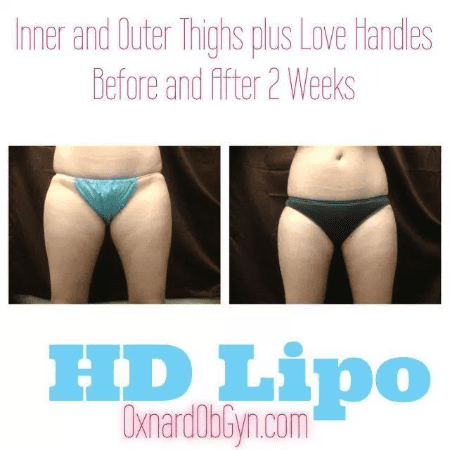 HD Liposuction Before and After- Inner Thighs 3 Months (Patient still will see tightening for 9 more months due to stimulated collagen brought on by the HD).